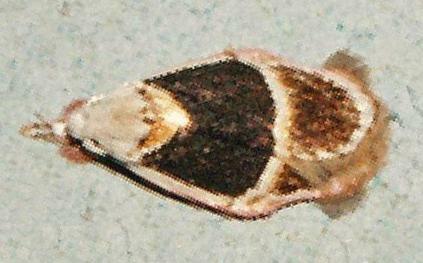 The forewings of the adult moth of this species each have pale edges and a large central dark brown area bisected by a pale stripe. 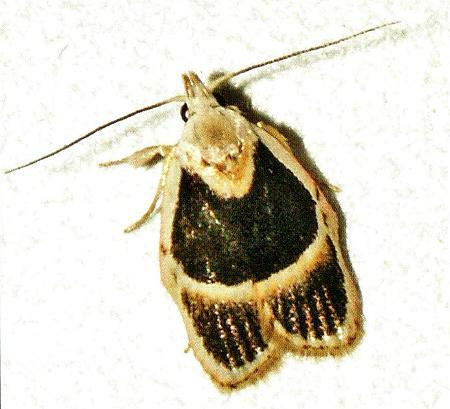 The hindwings are grey with a pale margin. The wingspan is about 2 cms. CSIRO Publishing, Melbourne 1994, pp. 222, 224. Volume 60 (1922), p. 8.